With most of my clients, their goal is to become a better speaker. English learners want to work on their pronunciation. Others want to win over the interviewer so they can get the job. It doesn’t matter what the communication context is because the essentials are all the same. You need the confidence. You want your ideas to flow. You should be careful of word choice. Bust most importantly, you need to be aware of your delivery: how you sound. Now, most people usually cringe when they hear their own voice. They’ll actively take steps to avoid listening to it. But if you really want to adjust the way you speak, you need to expose yourself to that sound as much as possible. 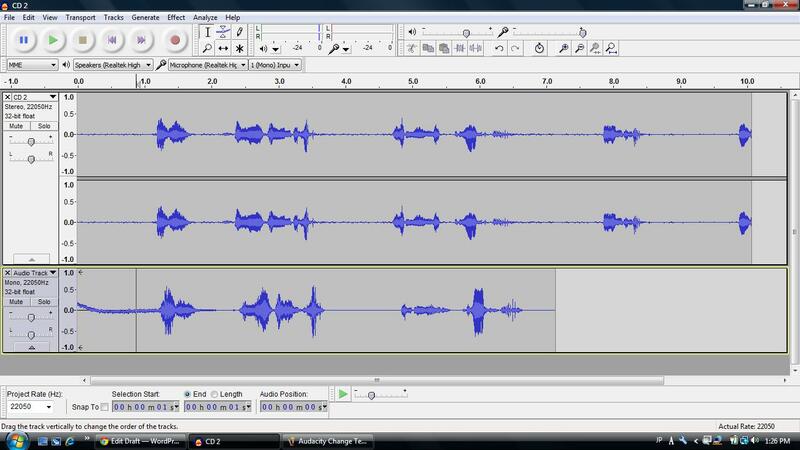 In order to help with all of this, I highly recommend getting Audacity (it’s free). There’s plenty of other software out there, even apps that you can use on your phone. No matter what software you use, they’re all going to work for Voice Journaling. You’re familiar with keeping a written journal or diary. Here you’re taking the same logic and applying it to your voice. Small amounts of focus and effort on a regular basis (i.e. every day if possible!) will help you much more than trying to churn out a huge chunk once every couple of months. I recommend setting aside 30 seconds every night to just review the events of the day. Do this six days a week. Then on the seventh, listen back to your audio. I cannot stress this enough: in order to improve your speaking, you need to know what you sound like right now. Think about someone who wants to lose weight. Let’s say his goal is to drop 35 lbs (15.9 kg). How would this person know when he made any progress if he didn’t know his starting point? Voice journaling clearly defines your starting point and gives you a means to track your progress. Next, let’s cover the real advantages of Audacity, and how they apply to Voice Modeling. In the same vein as having role model, a voice model provides an example of something to strive for and copy. Not only does that do wonders for your pronunciation, but it can also break up the bad habits in your rhythm. Your voice model should be someone who has a voice similar in pitch. For people with deep voices, find a voice model who has a deep voice. If you have a higher pitched voice, choosing a deep voiced model will be less beneficial for you. Thanks to YouTube, you can find plenty of videos of people speaking. If you use a celebrity, try to find clips of them in interviews versus the roles they portray in movies. The dialogue will be more natural. Once you find a video you like, you can place the link into ListenToYoutube to get the mp3. 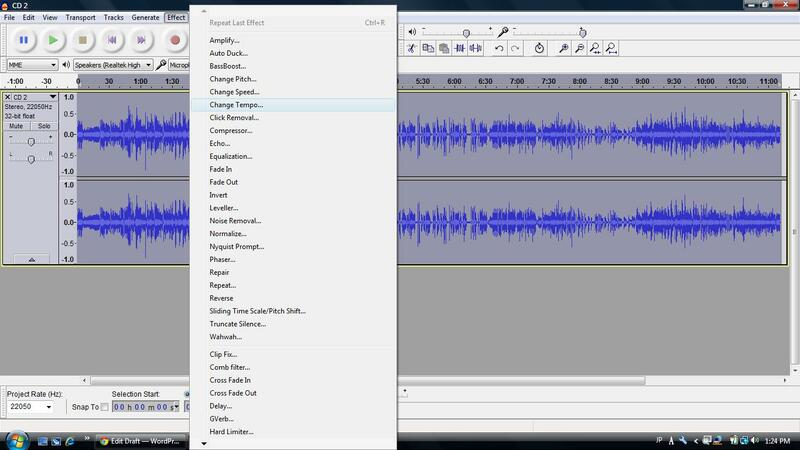 Then you can import the audio into Audacity. 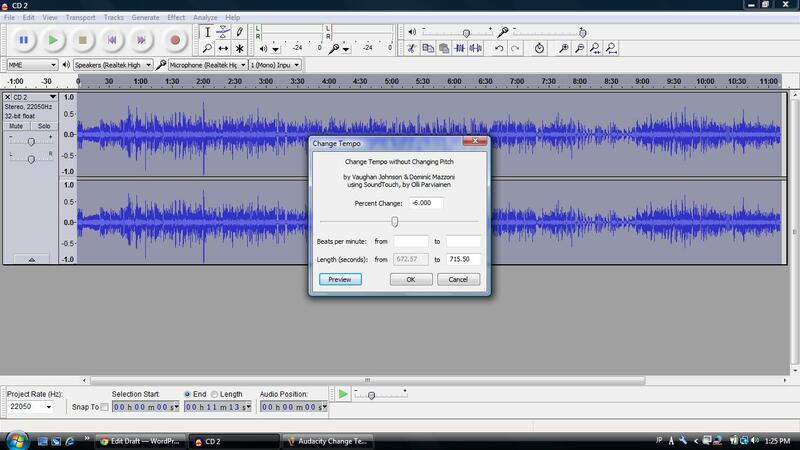 The big advantage in using Audacity is you can adjust the speed. If the audio is too fast, you can slow it down. If it’s too easy for you, you can speed it up. You’ll want to select all of the audio. You can always play around with the settings, but I usually stick with a -6 to slow it down or a +6 to speed it up. 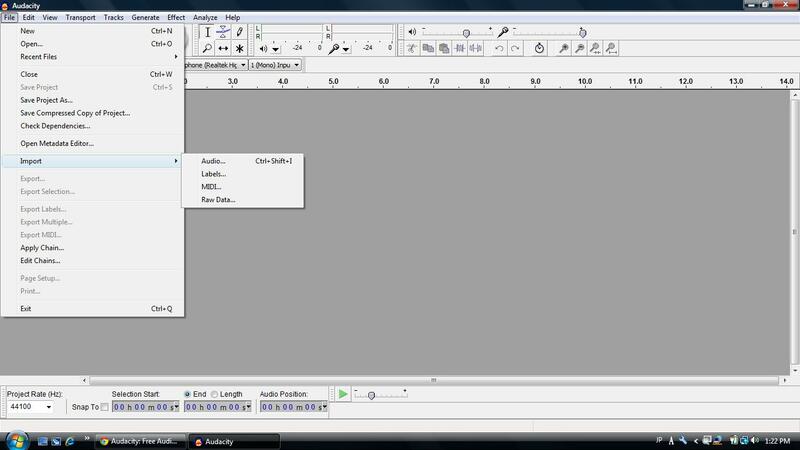 Finally, there’s one more exercise you can do with Audacity: shadowing. Shadowing is when you try to record your voice to match the speed and rhythm of the mp3 file. 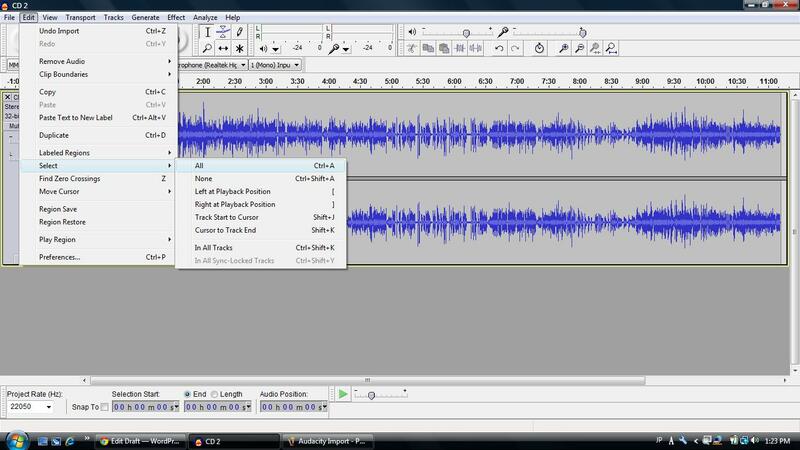 It’s up to you if you want to go that far, but definitely make use of Audacity’s speed adjusting feature. And most importantly, designate yourself a voice model. If you need help selecting an appropriate model, send me a sample of your speaking, and I’ll provide a few options.